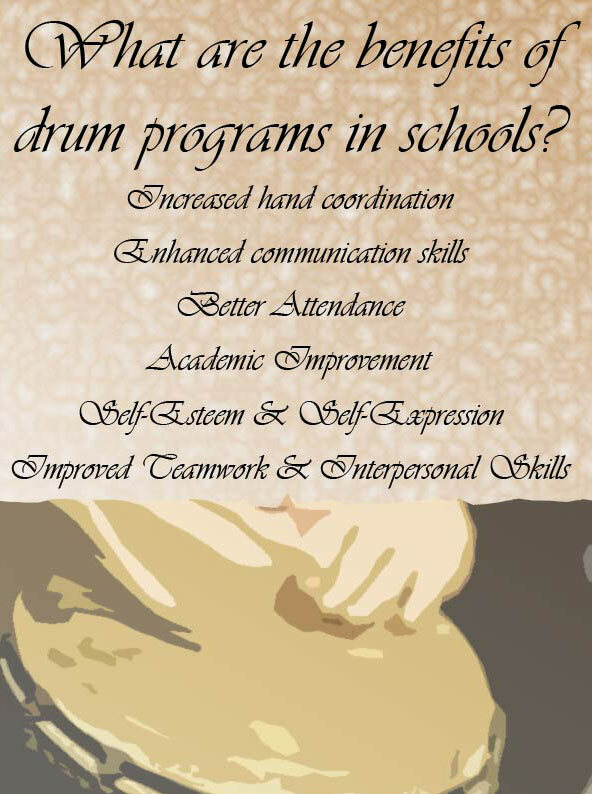 Studies show that incorporating a drumming music program in schools benefits children in many ways. From enhancing communication and teamwork skills, to improving attendance and academic performance, these programs are making a difference in the lives of our children today. Drumming is an engaging activity that children enjoy, regardless of ability, and can promote self-esteem and self-expression in a welcoming environment.